The QueensWay will transform an inaccessible, trash-strewn site into an arboretum-like setting and active learning environment.  Sand, rocks, and boulders deposited across the site are remnants of glacial paths as they rolled across Central Queens, creating the ridgeline referred to as the “terminal moraine” that runs through Forest Park, Queens, and much of Long Island. When early settlers farmed the area, small stones carried by the glaciers were used in walls to define site boundaries and keep animals penned. 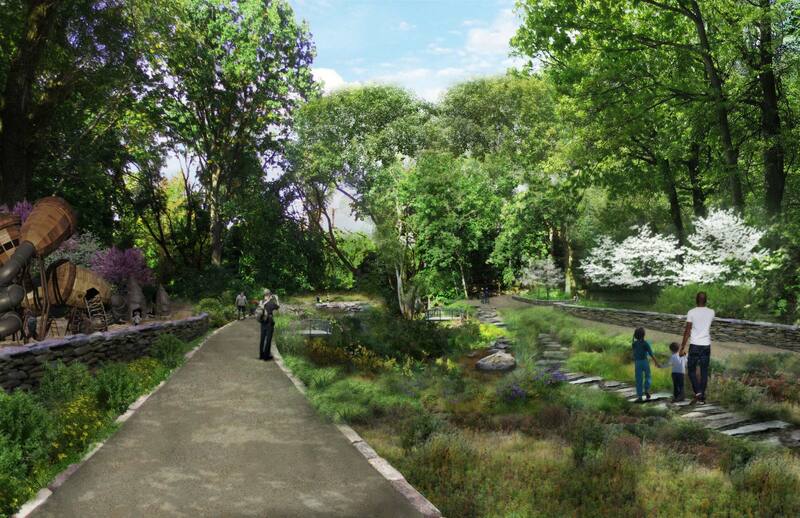 The QueensWay design includes walls and retaining structures inspired by these historic landscape features. The old rail line cut through the ridgeline, because rail lines need a fairly level path for heavy trains to run efficiently.  Our study suggests that the terminal moraine was excavated to allow for a level path, and the material excavated was used as “fill” to form the embankments that characterize the northern end of the QueensWay. 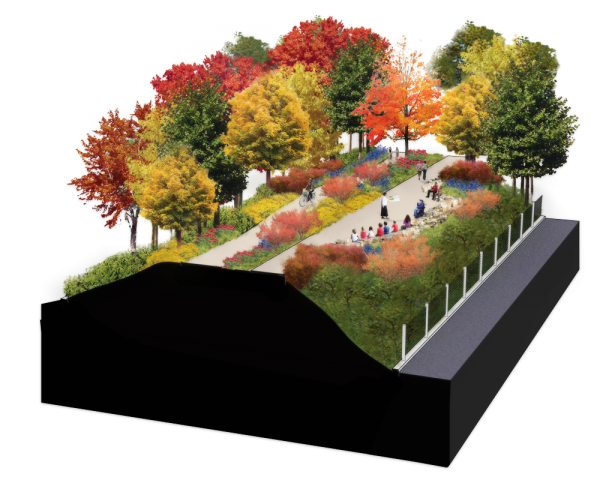 As a path for people, the QueensWay will be a place of dramatic variation, from the raised embankments to the lush vegetated ravine in Forest Park to the man-made viaduct at the southern end of the park. 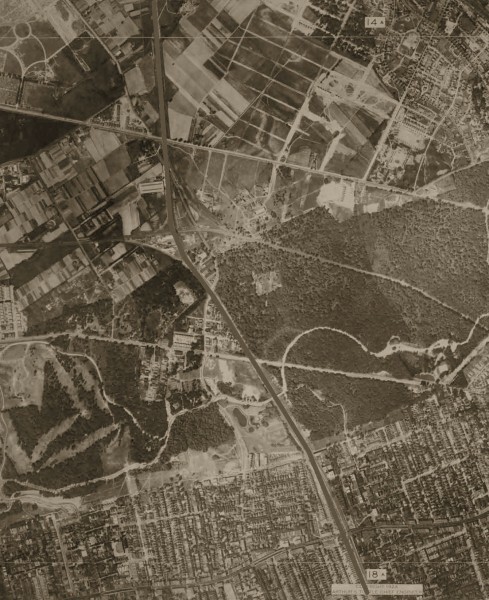 The QueensWay is an overgrown landscape where invasive plantings have choked out native species. Removal of noxious weed trees, shrubs and vines such as ailanthus, Poison Ivy and Japanese Knot weed will be an important priority. The project will also remove unhealthy trees and trees with lower ecological and park value to allow longer living trees space to mature more healthily and beautifully. The embankment will also be stabilized to help mitigate the current occurrence of soil erosion and runoff into the neighboring properties. This ecological restoration will translate into a strategy across the entire QueensWay, from stormwater management improvements that will serve the ballfields at the northern end of the park to the soil stabilization along the embankment in the Woodhaven/Richmond Hill neighborhoods. The restoration will ensure a dynamic landscape experience for all seasons. The enhanced ecology will become a learning landscape for visitors, the community and the many schools that abut the site. Outdoor classroom spaces, group walking tours, and interpretive signage will create a range of educational opportunities for students, local residents, and visitors. While the QueensWay is aligned with the Atlantic Flyway, which is the main East Coast migration route for birds, the site does not currently display great biodiversity. The understory will be replanted with species that enhance the biodiversity to attract more different types of birds and butterflies. Many of these species will be tagged in locations near schools, and students can observe and make records of the increasing biodiversity.